The Wednesday Call Live (TWC) for August 20, 2014: This file is an audio recording of Andy's Live Show. If you would like to access the video version, check out the NAAtv Live Archives! The Live Show will air again on August 27, 2014 at 12:30 PM ET. The Wednesday Call Live (TWC) for August 13, 2014: This file is an audio recording of Andy's Live Show. If you would like to access the video version, check out the NAAtv Live Archives! The Live Show will air again on August 20, 2014 at 12:30 PM ET. The Wednesday Call (TWC) for August 13, 2014: Andy Albright hosts a live conference call and meeting from National Agents Alliance Headquarters in Burlington, NC! Andy's live show covers all kinds of great topics, including training, information on team building, new developments that are in the works, and frank discussions with your fellow agents (beginner and top level managers alike!). If that wasn't enough, the live show also provides motivation and encouragement that will help get you fired up and ready to roll! Be sure to tune in and take advantage of the great info in The Wednesday Call. Andy opened the show by encouraging people to check out the photos at www.AMPPix.com. Andy covered the way to get a person's head, heart, and earn $10,000 by recruiting an agent. It starts by actively looking for people. That is the first step. You have to be deliberate with yourself and you have to be looking. When you people you will occasionally find a dud. That's ok. Building a successful business is done with imperfect people. You are looking to find people that are willing to do the activity. Don't get upset when a person doesn't progress like you want or they even quit. Keep moving, keep plugging away. Don't let it get you frustrated. Some fish will get away even when you think you have them in your cooler. It's the same way with recruiting people. When it happens, you just keep casting away. There are more ways to do our business wrong than there are right. Don't be surprised when somebody messes up because it's easier to get it wrong than right. We judge people by results. We watch people's actions. We lay out expectations from Day 1 so they know. The key is to keep working at it, keep showing up and keep helping people. You need to find people that have a good heart, do the right things and it will lead to $10,000 with the right person. Andy announced the latest GSB winners and showed a graphic that outlined what The Alliance has done through the GSB program. When we start people right, the odds are far greater that we will be successful. The Live Show will air again on August 20, 2014 at 12:30 p.m. EDT. The Wednesday Call Live (TWC) for August 6, 2014: This file is an audio recording of Andy's Live Show. If you would like to access the video version, check out the NAAtv Live Archives! The Live Show will air again on August 13, 2014 at 12:30 PM ET. The Wednesday Call (TWC) for August 6, 2014: Andy Albright hosts a live conference call and meeting from National Agents Alliance Headquarters in Burlington, NC! Andy's live show covers all kinds of great topics, including training, information on team building, new developments that are in the works, and frank discussions with your fellow agents (beginner and top level managers alike!). If that wasn't enough, the live show also provides motivation and encouragement that will help get you fired up and ready to roll! Be sure to tune in and take advantage of the great info in The Wednesday Call. Andy Albright was back, fresh off a trip to Africa, to host The Wednesday Call live from AMP Studios. He briefly shared his experience from a mission trip to Africa, where he and his family spent 14 days with J.L. Williams and his wife, Patt, missionaries from New Directions International based in Burlington, N.C.
One part of the trip was delivering goats purchased by The Alliance to various villages and communities and giving back. Andy announced the new NAAU scholarship program, urged people to see all the contests going on at NAA and updated people on the Top 20 HotSpots meetings in the United States. Andy asked the audience the following question: Do you deal with these situations? Some people you hire have great talent but NO ambition? Some people have no talent but work hard for NO results? Some people you hire don't see the bigger picture? The Alliance was built with people who are not perfect. Where are you? What's your dream, ambition, goal, etc.? Part of being successful is just in "doing things." Are you working with people that might not be perfect? You should be. Are you helping people make corrections and adjustments to get them on track? Are you being positive with people you are talking to? All these things are factors in finding success with National Agents Alliance. The best way to help people you like or don't like is to get them two wide. It doesn't matter what your feelings are about the person. Helping them find success will change their potential outcome. People don't always know what isn't working for them, so you have to help them whether you like them or not. Do you know why people do what they do or don't do? It's simple: it's about your "why." People are motivated by their "why." When you find YOUR "why" you are going to do more. You are going to be more focused. With a "why" you have hope and a shot. Clarity leads to focus, freedom and feeling. Deceit will lead to distraction, division and defeat. The common denominator to success is doing the thing that losers aren't willing to do. Do the basics. If the team succeeds then the team succeeds. Are you doing the little things to be successful? We are in a results-based business. It's about the bottom line and those that do will be rewarded. The Live Show will air again on August 13, 2014 at 12:30 p.m. EDT. The Wednesday Call Live (TWC) for July 30, 2014: This file is an audio recording of Andy's Live Show. If you would like to access the video version, check out the NAAtv Live Archives! The Live Show will air again on August 6, 2014 at 12:30 PM ET. The Wednesday Call (TWC) for July 30, 2014: Andy Albright hosts a live conference call and meeting from National Agents Alliance Headquarters in Burlington, NC! Andy's live show covers all kinds of great topics, including training, information on team building, new developments that are in the works, and frank discussions with your fellow agents (beginner and top level managers alike!). If that wasn't enough, the live show also provides motivation and encouragement that will help get you fired up and ready to roll! Be sure to tune in and take advantage of the great info in The Wednesday Call. NAA product specialist Gina hawks was the first segment on TWC and her talk centered around commitment, focus and success. Commitment leads to focus which leads to success How do you define success? Is it freedom of time, money, etc.? Commitment is doing the things you need to do consistently. That's the first step in success. Focused people seem to have blinders on when they are chasing a goal. They don't let little things or big things get in the way of their hopes and dreams. NAA co-founder Barry Clarkson was next up and he discussed having the All out all in mentality, cheering yourself on and being part of something special. La Vigne was joined by Bill Cook, who said The fight is won or lost before you get on the phone. Develop great relationship with your manager so you are able to know what you need before you get on the phone. Pick a quiet area where you can make dials. Make sure it's a positive environment. Have all your paperwork ready before your first dial. Dane gave live phone training to the audience using Bill as his client to help people overcome phone objections. Mike and Noelle Lewantowicz spoke about Building a massive dream with a massive pipeline to achieve your dreams. You get that with 20/20 vision balance that creates that pipeline. The last segment featured a talk from Andy Albright on Saturday night during LeadCon14. Andy explained that you can't let little things get you off track. You do that by keeping your mind on the dreams you have. Focus on things that are good, true and right. Like a dog in the hunt, keep your mind on the scent. Keeping your commitments when you say you will do something is important. The Live Show will air again on August 6, 2014 at 12:30 p.m. EDT. The Wednesday Call (TWC) for July 23, 2014: Andy Albright hosts a live conference call and meeting from National Agents Alliance Headquarters in Burlington, NC! Andy's live show covers all kinds of great topics, including training, information on team building, new developments that are in the works, and frank discussions with your fellow agents (beginner and top level managers alike!). If that wasn't enough, the live show also provides motivation and encouragement that will help get you fired up and ready to roll! Be sure to tune in and take advantage of the great info in The Wednesday Call. Coming right out of the Leadership Convention, Andy and members of his Agency Building Task Force (ABTF) welcomed new members of The Alliance and explained the best and quickest way to become an Executive Vice President (EVP) with NAA. Andy also explains that one of the best ways to get new agents on board with The Alliance is to talk with them about all of the great incentives NAA offers, like the Greek Isles Cruise in 2015. If you haven't already heard, Andy's come out with a new edition of his book, Millionaire Maker Manual (also known as "The Green Book"). In this episode of the TWC, Andy and ABTF members discuss "the follow up" and how to talk to new agents. The Live Show will air again on July 30, 2014 at 12:30 p.m. EDT. The Wednesday Call Live (TWC) for July 23, 2014: This file is an audio recording of Andy's Live Show. If you would like to access the video version, check out the NAAtv Live Archives! The Live Show will air again on July 30, 2014 at 12:30 PM ET. What are your dreams? Where have they taken you? Your dreams can have a positive impact in the lives of others, and working towards their achievement can take you to many amazing places - both spiritually and physically. The Greek Isles are a beautiful destination that can change your life - the experience, the relationship building, the overwhelming natural beauty. To get there, you will help change other peoples lives, providing families with the products and services to help ensure their financial stability remains in tact during times of need. Come and live a dream with National Agents Alliance! Our cruise in the Greek Isles begins in 2015, check out www.AllianceEventures.com to learn how you can be a part of our dream by helping families! The Wednesday Call Live (TWC) for July 16, 2014: This file is an audio recording of Andy's Live Show. If you would like to access the video version, check out the NAAtv Live Archives! The Live Show will air again on July 23, 2014 at 12:30 PM ET. The Wednesday Call Live (TWC) for July 16, 2014: Andy Albright hosts a live conference call and meeting from National Agents Alliance Headquarters in Burlington, NC! Andy's live show covers all kinds of great topics, including training, information on team building, new developments that are in the works, and frank discussions with your fellow agents (beginner and top level managers alike!). If that wasn't enough, the live show also provides motivation and encouragement that will help get you fired up and ready to roll! Be sure to tune in and take advantage of the great info in The Wednesday Call. Andy Albright hosted a big crowd for TWC this week in advance of this weekend's Leadership Conference in Burlington, N.C.
Andy talked about the opportunity to be a business owner and make the world a better place in the process. That means having your heart and your mind in the right place. Andy talked about having the WANT TO in life to be successful. Are you Faithful, Able and Teachable? That's what it takes to be successful with The Alliance. Finding what you love and doing that means you will never work another day in your life. The next topic Andy covered was the importance of selling, recruiting and building. He showed the key leader structure and explained that it was the first step in being successful as a builder. The Live Show will air again on July 23, 2014 at 12:30 p.m. EDT. On the call for July 15, 2014: President's Club invites you to join this Over The Shoulder Call with Andy Albright. This call is designed for President's Club members and has a special guest in the hot seat - newly qualified Agency Manager Jason Thornton! Don't miss this great learning opportunity! The Wednesday Call Live (TWC) for July 9, 2014: This file is an audio recording of Andy's Live Show. If you would like to access the video version, check out the NAAtv Live Archives! The Live Show will air again on July 16, 2014 at 12:30 PM ET. The Wednesday Call Live (TWC) for July 9, 2014: Andy Albright hosts a live conference call and meeting from National Agents Alliance Headquarters in Burlington, NC! Andy's live show covers all kinds of great topics, including training, information on team building, new developments that are in the works, and frank discussions with your fellow agents (beginner and top level managers alike!). If that wasn't enough, the live show also provides motivation and encouragement that will help get you fired up and ready to roll! Be sure to tune in and take advantage of the great info in The Wednesday Call. Andy Albright hosted a high-energy audience for TWC this week from NAA headquarters. Andy shared photos from the Caribbean Cruise that are now available at www.AMPPix.com. He also encouraged people to qualify for the 2015 Greek Isles Cruise. It's only July and many people have already qualified. Those agents were recognized during TWC, as well as those who are close or on track to qualifying. The latest Good Samaritan Bonus winners were announced, and Andy recognized Tim Walko, Dane La Vigne, Bill Cook, Pam Moore and Kerry Williams. You can learn more about the GSB by visiting www.GoodSamaritanBonus.com. Andy talked about implementing exponential recruiting efforts and the power of telling yourself you can do it. Next, Andy highlighted some success stories with The Alliance and interviewed them via telephone. The Live Show will air again on July 16, 2014 at 12:30 p.m. EDT. On the call for July 8, 2014: Do not miss Andy Albright on this President's Club National Call. The Wednesday Call Live (TWC) for July 2, 2014: This file is an audio recording of Andy's Live Show. If you would like to access the video version, check out the NAAtv Live Archives! The Live Show will air again on July 9, 2014 at 12:30 PM ET. The Wednesday Call Live (TWC) for July 2, 2014: Andy Albright hosts a live conference call and meeting from National Agents Alliance Headquarters in Burlington, NC! Andy's live show covers all kinds of great topics, including training, information on team building, new developments that are in the works, and frank discussions with your fellow agents (beginner and top level managers alike!). If that wasn't enough, the live show also provides motivation and encouragement that will help get you fired up and ready to roll! Be sure to tune in and take advantage of the great info in The Wednesday Call. Andy hosted a special Independence Day edition of TWC live from AMP Studios in Burlington, N.C.! The winners of the Greek Isles cruise thus far were recognized early in the show, plus those who are on track to win the cruise in 2015. Andy talked about a sermon he heard at his church on Sunday that talked about the importance of having big dreams. Are you thinking bad, good or great about your life? There are five things you can do to make sure you are dreaming bigger. Enlarge, stretch, spare not, lengthen and strengthen are those ways to dream bigger and be great in life. Next, Andy covered words to help you be more positive. He urged people to use words like when, it is great, it is here and I know we can instead of if, it will be ok, if we get, do you think we can, etc. The Lead Performance Team joined Andy on the show. Sandra Sheckells, Donna Pettigrew, Jessica Byrd and Katie Beasley covered some basics of what the lead system offers at NAA. The LPT covered different types of leads and how our lead system works. Sandra encouraged people to plug in to the weekly webinar/conference call by calling the home office or by emailing the Lead team. The Live Show will air again on July 9, 2014 at 12:30 p.m. EDT. The Wednesday Call Live (TWC) for June 25, 2014: Andy Albright hosts a live conference call and meeting from National Agents Alliance Headquarters in Burlington, NC! Andy's live show covers all kinds of great topics, including training, information on team building, new developments that are in the works, and frank discussions with your fellow agents (beginner and top level managers alike!). If that wasn't enough, the live show also provides motivation and encouragement that will help get you fired up and ready to roll! Be sure to tune in and take advantage of the great info in The Wednesday Call. Andy Albright was live and in color for this week's TWC, after an amazing week with members of The Alliance on a cruise in the Caribbean. Andy recognized the latest Greek Cruise qualifiers and those who are so close to hitting the mark to get on another boat with NAA in 2015. A video produced by AMP Studios played next showing exactly what went down during an adventure on the Oasis of the Seas. Andy announced that a new picture service is now available by visiting www.AmpPix.com to see all the images from The Alliance's travels around the globe. Andy showed how easy it is to use the site and find photos of you and your friends. 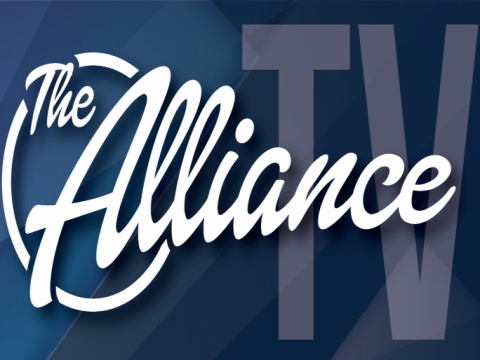 The Alliance has several contests going on this year and the leaders of those were recognized during TWC. In the next segment, Andy recognized the 20/20 Vision leaderboard. Dane La Vigne, Jeremy Patton and Kyle Keator were atop that leaderboard. Orlando was recognized as the top attended HotSpot with Wilmington, N.C. Coming in right behind! The next topic was how to get a person started by keeping it simple. The first step is to remember that The Alliance is focused on selling and recruiting. It's really just one thing. It's about reminding people that they can do as much as they want. You can do this with clients and with people you meet in everyday life. It's important to lay out both opportunities for people. The next step is to learn how to get people to the next event. You keep things simple, ask nicely and lead. You keep asking the right questions. The biggest mistake is not asking questions. Help people set goals big enough that they can come up just short but still feel good about it. Don't set the bar too low. The third step is making sure it occurs to people and you are reminding them. Be a master of the mundane. Do the basics and remind people to do the same. The most valuable thing is your time and you have to be very deliberate about how you spend it. How do you spend it, how do you allocate it and do you teach others how to spend it? You have 168 hours in a week and schedule the week is important in your success. Andy told the audience all he ever wanted was a shot in life. He found it with The Alliance. It's there for you if you want to do big things in life and help others while you do it. The Live Show will air again on July 2nd, 2014 at 12:30 p.m. EDT. President's Club is a leadership development program designed to give agents the tools necessary to become the president of their business. Aside from receiving access to training resources, you'll receive insightful and in-depth business coaching from Andy Albright as well as other top leaders at National Agents Alliance. On the Call for June 27, 2014: President's Club invites you to join Andy Albright and Andy Riddle on the FIRST EVER board members call!